Got a pool? 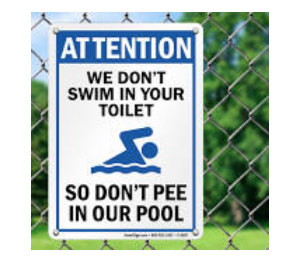 Or more importantly, do you visit waterparks and public pools and get grossed out thinking about al the bodily fluids lurking in the water. YUCK! A properly maintained pool helps prevent recreational water illnesses, keeping swimmers healthy. The U.S. Centers for Disease Control and Prevention (CDC) recommends swimmers use portable test strips to check for adequate chlorine and proper pH of pool water. You can get a FREE pool test kit just by filling out a short form HERE. You’ll receive chlorine and pH test strips to help make sure you’re staying safe. Next articleDiscount Tickets to THREE Universal Orlando Resort™ Theme Parks only $56 per Day!